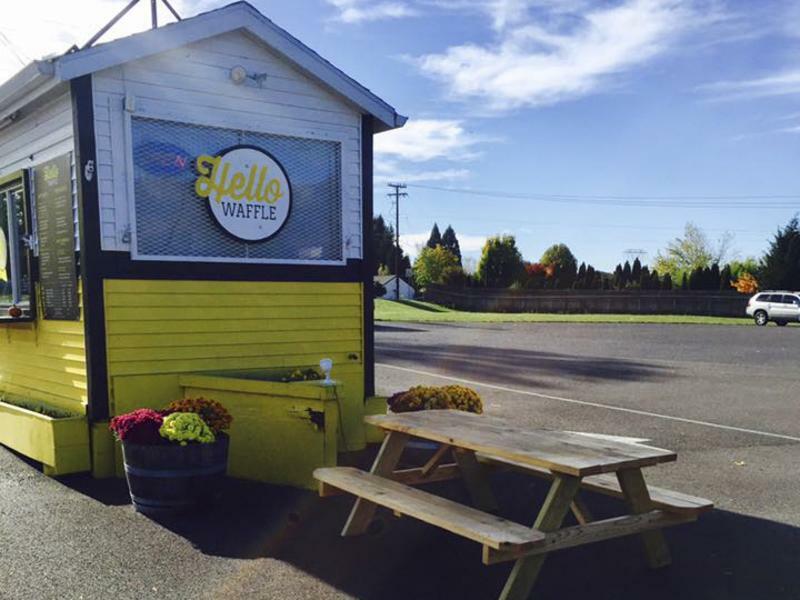 Hello Waffle is a waffle and espresso stand in Camas, Washington. 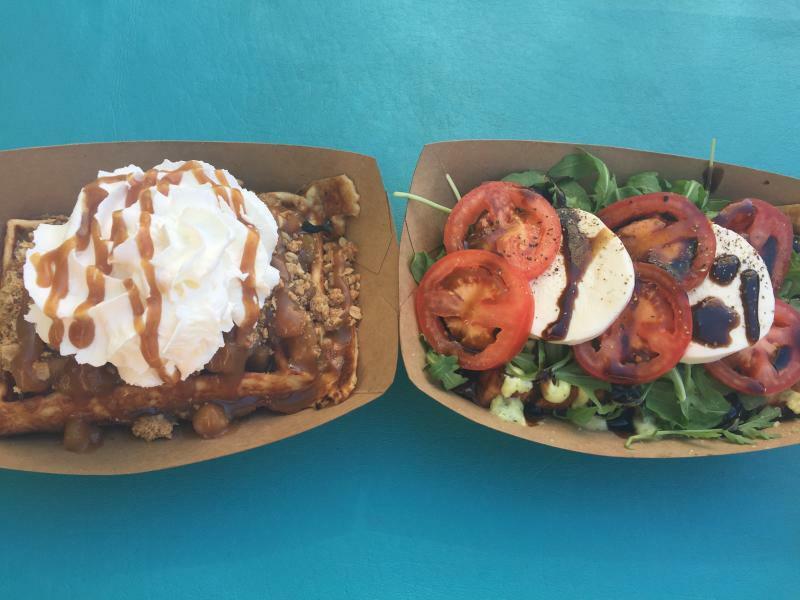 They serve Brussels style waffles with both sweet and savory toppings, and Paper Tiger Coffee Roasters espresso. 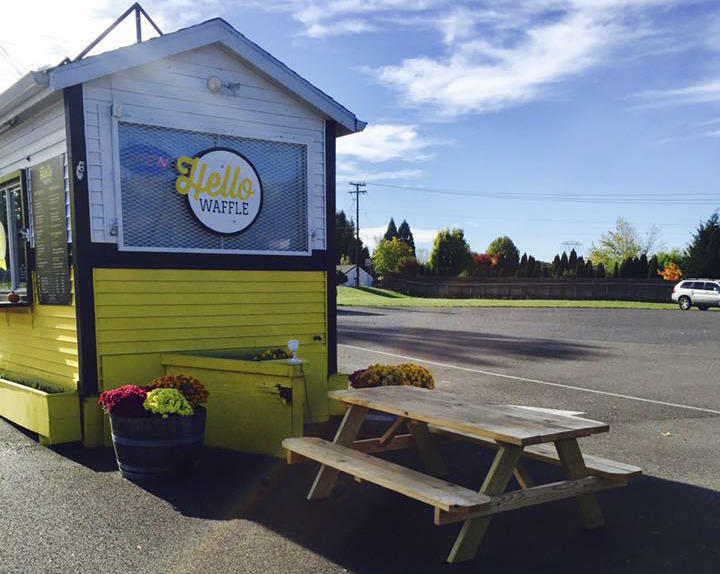 They also set up at farmers markets and do special event catering.